Joining the Weatherford Chamber of Commerce is one of the best investments your business can make. Whether you are looking for referrals, for ways to promote your business, to be a good corporate citizen, to network and get involved in the community or to just save money, you've come to the right place. The Weatherford Chamber of Commerce - We Mean Business! 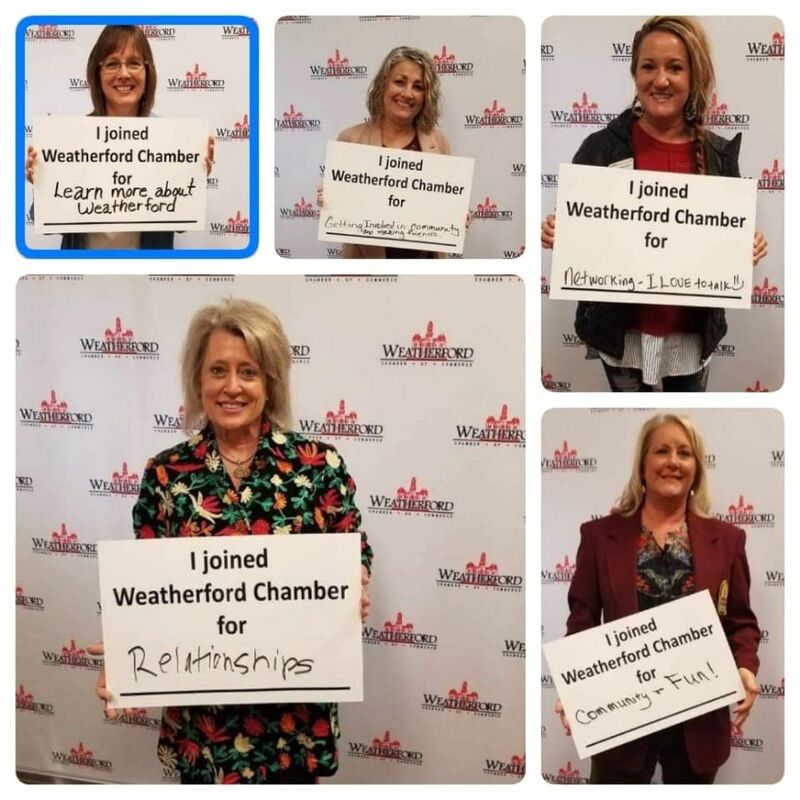 Established in 1912, the Weatherford Chamber is more than 800 members strong. The Chamber is committed to making our community a better place to live and work by demonstrating leadership to improve our economic climate through the promotion of tourism, business and industry. In other words, we just want to make Weatherford the best place it can be! We do this through the hard work of individuals who volunteer their time and talents to make a positive impact on the community. You can help. People like to do business with people they know. The Weatherford Chamber provides numerous opportunities to network with other business professionals. We invite you to become a part of the most dynamic organization in town. Weldon C. & BIll Jordan Cons. Inc.